Can a powerful idea be conveyed in fifteen minutes or less? On Nov. 7, 2013 at 7 pm, the second annual JewDub Talks will present short lectures on big ideas in Jewish history and culture. 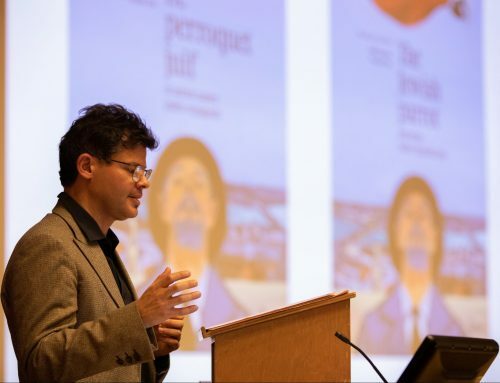 Organized by the Stroum Center for Jewish Studies at the University of Washington, the one-night event features four outstanding UW faculty members giving pocket-sized talks on issues that are personally and intellectually compelling. 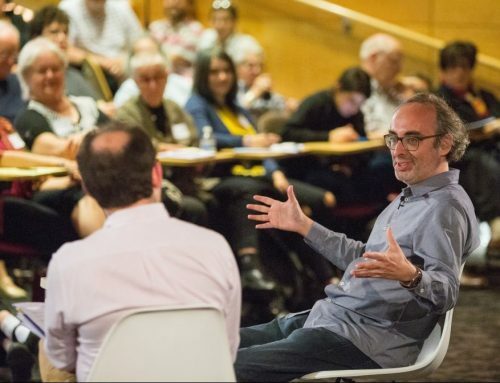 A common thread connects this year’s talks, which all probe the borderlines of Jewish identity and interfaith relations. Topics include converso Jews in medieval Spain; the modern legacy of Spinoza; anti-Semitism as a Christian problem; and searching for shtetl roots in the Pale of Settlement. The Stroum Center for Jewish Studies prides itself on scholarship that directly engages with the community. Last year, we created a unique evening program inspired by the phenomenon of TED Talks, a global movement centered around “ideas worth spreading” through short talks given by experts in a wide range of fields. In our Seattle spin on this popular format, we selected four UW faculty members to give TED a Jewish twist. Keep reading to find out more about this year’s speakers, and come out on Nov. 7th to see JewDub Talks in real time! We will also be livestreaming the talks right here on this webpage. What does it mean to come home? A Russian rabbi’s granddaughter probes the increasing appearance of her family’s homeland in her literary research over the years. A moving discussion about finding personal meaning in scholarly work, and the process of going “beyond the pale” to learn more about one’s past. Galya Diment is Professor and the Thomas L. & Margo G. Wyckoff Endowed Faculty Fellow in the Department of Slavic Languages and Literatures at the University of Washington. Her teaching specialties include Russian literary and cultural history, the works of Vladimir Nabokov, and Russian Jewish film. Prof. Diment received her Ph.D. from the University of California, Berkeley, and is on the editorial boards of Nabokov Studies and Studies in Russian and European Literature. 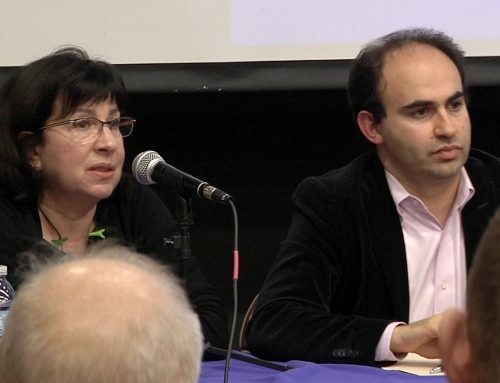 She recently published A Russian Jew of Bloomsbury: The Life and Times of Samuel Koteliansky (2011). What is identity? This talk presents identity as an evolving, “unfixable” concept that moves fluidly between countries, cultures, languages, religions, and gender expectations. The medievalist Ana Gomez-Bravo explains how the fifteenth-century Spanish Jews known as conversos, or converts to Christianity, provided a peer group for her own shifting self-perception. Ana Gómez-Bravo is Associate Professor in the Division of Spanish and Portuguese Studies at the University of Washington, where she is also faculty for the Stroum Center for Jewish Studies. Her research interests include medieval Spain, gender studies, and the intersections among food, culture, and texts. Prof. Gómez-Bravo received her Ph.D. from the University of California, Berkeley. Her forthcoming book is Textual Agency: Writing Culture and Social Networks in Fifteenth-Century Spain. Baruch Spinoza’s name is a lightning rod: some view him as an exemplary Jew, others as the ultimate heretic. 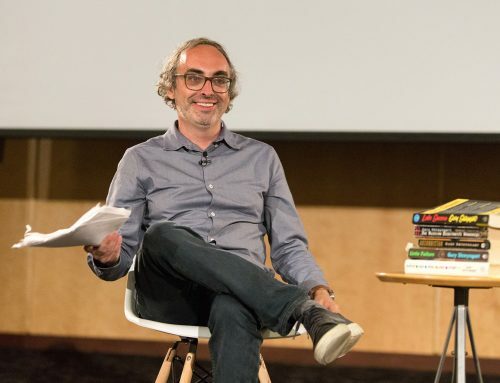 For UW philosophy professor Michael Rosenthal, navigating the debates about Spinoza’s legacy led him to explore his own Jewish identity. Rosenthal’s talk focuses on two issues in particular: belief in God, and connection to Israel. 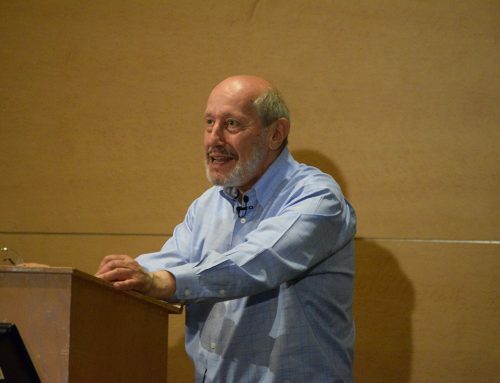 Michael A. Rosenthal is Professor and the Chair of the Department of Philosophy at the University of Washington, as well as faculty for the Stroum Center for Jewish Studies. He teaches and publishes in the areas of early modern philosophy, ethics, political philosophy, and Jewish philosophy, particularly Spinoza, about whom he has several forthcoming articles. Prof. Rosenthal received his Ph.D. from the University of Chicago. He recently co-edited two volumes, Spinoza’s Theological-Political Treatise: A Critical Guide (2013) and Inventions of the Imagination: Romanticism and Beyond (2011). After the Holocaust Christian churches began a complex and painful reassessment of their theological and political history concerning the Jewish people. Anti-Semitism is now increasingly perceived as a problem confronting both Jews and Christians. What are the major difficulties and the still unresolved questions challenging Christianity and its self-consciousness at the beginning of the twenty-first century? 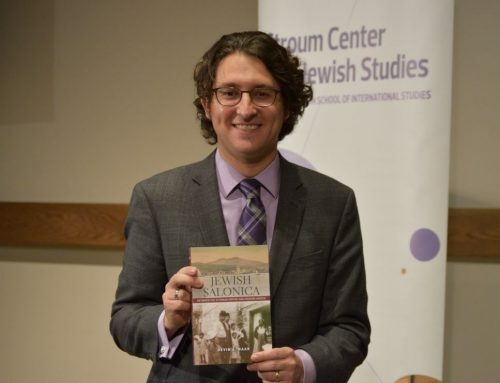 Ruggero Taradel is Lecturer in the Division of French and Italian Studies at the University of Washington, where he teaches courses in Italian Cultural History, Church and State in Italy, and Italian Language; he is also faculty for the Stroum Center for Jewish Studies. He was nominated for UW’s Distinguished Teaching Award in 2010. Prof. Taradel received his Ph.D. with high honors from the University of Rome (La Sapienza) and is a member of the scientific committee of the International Journal of Philosophy and Psychology. He is author of The Blood Libel: A Political History of an Anti-Semitic Myth (L’Accusa del Sangue. Storia Politica Di Un Mito Antisemita, 2002).